ΤΟΠΟΙ: ΑΓΟΝΟΙ. Δύο Φιλανδοί φωτογράφοι. Είναι μια παραγωγή του Φωτογραφικού Κέντρου Θεσσαλονίκης και γίνεται στα πλαίσια της διοργάνωσης PhotoBiennale 2010 / 21η Διεθνής Φωτογραφική Συνάντηση του Μουσείου Φωτογραφίας Θεσσαλονίκης, σε συνεργασία με το Δήμο Νεάπολης. Συμμετέχουν οι φωτογράφοι Kari Soinio και Harri Palviranta. Ο Kari Soinio στην ενότητα City of Ghosts αναμειγνύει την αρχιτεκτονική φωτογραφία με τη φωτογραφία δρόμου και μέσα από μια απροσδόκητη αισθητική εμφανίζει τον άνθρωπο που κατοικεί στην πόλη σαν φάντασμα, σαν έναν απρόσκλητο επισκέπτη που κατασπαράσσεται από την ίδια του την πόλη. 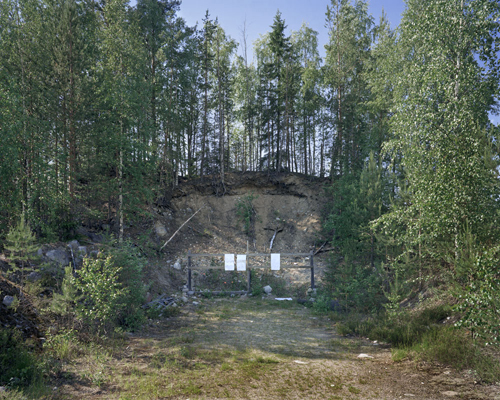 The Great Finnish Weapons Project is a photographic study on Finnish weapons culture. Finland (population around 5.3 million) has a long tradition of hunting and weapons-bearing, and today Finland has one of the world's highest gun ownership rates with about 1.6 million firearms in private hands, plus perhaps some 30 000 to 100 000 illegal weapons in possession of the people. There are approximately 2 500 shooting ranges around the country. Circa 80 percent of Finnish men learn to handle weapons during their compulsory military service. Guns are commonplace in Finland. My aim is to photographically discuss and interprete issues relating to weapons cultures. Recent school shooting in Finland - in November 2007 in Jokela (9 dead) and in September 2008 in Kauhajoki (11 dead) - has increased my motivation for this. are sports that teach people social skills and discipline. Forthly, it really is odd that people enjoy owning items that are originally ment for killing. Following this ambiguous state of affairs, I have chosen a photographic approach that is documentary but not in an traditional observative way, rather in a reflective manner. My intention is to visualize the oddity within this culture and aesthetisize the topic by binding it to corporeal and emotional issues. This chapter includes pictures of men touching weapons at homes, at the shooting ranges and at the auctions. The touch can even be warm, and therefore a weapon can appear as a fetish or as a prosthesis. This chapter focuses on places that are on the one hand disconnected and isolated locations in a periferic environment, and on the other hand legitimate grounds for practising explosive acts. Shooting ranges are kind of universes of their own, where alternative discourses and practises are present, where society becomes exposed in a layered manner. 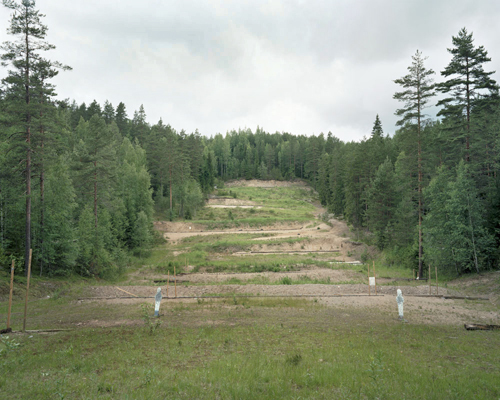 These are plain white photographs mounted on aluminium and then shot by shooters at the shooting ranges. This chapter introduces wounds and smell of gunpowder into the series. It also deals with issues around indexicality in photography, contrasting the photographic trace with the wound caused by the bullet. The Great Finnish Weapons Project is a work in progress, I started working with it in 2008. My intention is to conclude the whole project for spring/summer 2010. Altogether The Great Finnish Weapons Project will be a rather big in volume and intensity. It will be first exhibited in full volume in April 2010 in gallery Uusitalo in Helsinki, Finland. Born 27.7.1971 in Tampere, Finland, lives in Helsinki, Finland. 2000 BA, photography. Turku Arts Academy, Finland. 2009 Northern Center of Photography, Oulu, Finland. 2008 PHotoEspana 2008, Complejo el Aquila, Madrid, Spain. 2008 Center for Creative Photography, Jyvaskyla, Finland. 2008 Centro de Fotografia Isla de Tenerife, Santa Cruz de Teneriffe, Canary Islands. 2008 Galleri Image, Arhus, Denmark. 2008 Gallery Formato Comodo, Madrid, Spain. 2008 The Courtyard, Herefordshire s Centre for the Arts, Hereford, UK. 2007 Gallery Uusitalo, Helsinki, Finland. 2007 Photography Center of South-East Finland, Lappenranta, Finland. 2007 Gallery Ibis, Vaasa, Finland. 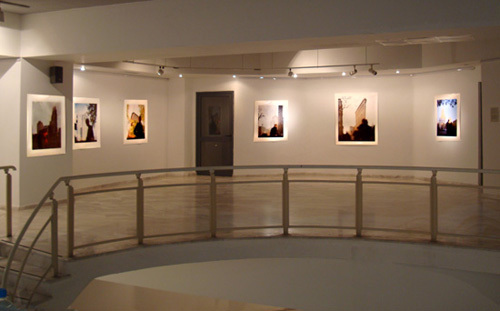 2006 Fotonauta Gallery of Photography, Barcelona, Spain. 2006 Center for Creative Photography, Jyvaskyla, Finland. 2005 Northern Center of Photography, Oulu, Finland. 2005 Waino Aaltonen Museum of Art, Studio, Turku, Finland. 2004 Cultural center Lindart, Tirana, Albania. 2001 Northern Centre of Photography, Oulu, Finland. 2001 Gallery Just, Turku, Finland. 2000 Photography Center PERI, Turku, Finland. 1998 Gallery Just, Turku, Finland. 2009 Riga Art Space, Riga, Latvia. Curated by Marita Muukkonen. 2009 Museo Archeologico di Atri, Italia. A Pelle / Skin. Curated by Giovanna Calvenzi, Mario Peliti ja Laura Serani. 2009 Boutographies, Montpellier, France. Screening. 2009 Contemporary Art Museum Kiasma, Helsinki, Finland. (Un)Naturally. Curated by Marja- Terttu Kivirinta and Leena-Maija Rossi. 2009 Emil Filla Gallery, Usti nad Labem, Czech Republic. Rebus sic stantibus - Under the Circumstances. 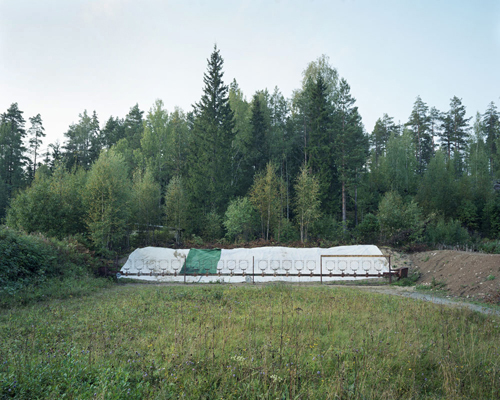 Curated by Silja Lehtonen and Michal Kolecek. 2009 Museum Baluarte de la Candelaria, Cadiz, Spain. Nine Voices Nine Places ? Finland, curated by Silvio Salgado. 2008 Singapore International Photography Festival, Old School, Singapore. 2008 Gallery Vartai, Vilnius, Lithuania. On a FinnIce - Moment of Everyday. Exhibition together with Spessi (Iceland), curated by Kimmo Lehtonen. 2008 XIII Mantta Art Festival, Finland. The Art of Humanity, curated be Veli Grano. 2008 Ars Nova, Turku, Finland. Rebus sic stantibus - Under the Circumstances. Curated by Silja Lehtonen and Michal Kolecek. 2008 Institute Camoes, Lisbon, Portugal. Nine Voices Nine Places ? Finland. Curated by Silvio Salgado. 2008 Kerava Art Museum, Kerava, Finland. Hi Man! 2008 Finnish Museum of Photography, Helsinki, Finland. Curated by Hannu Vanhanen. 2008 Waino Aaltonen Museum of Art, Turku, Finland. North-East from Kakola. An Exhibition Journey Through the City. 2008 The Northern Center of Photography, Oulu, Finland. The Sign of Fear. Curated by Jari Silomaki. 2007 Gallery Kakelhallen, Mariehamn, Aland. MaleStuff. 2007 M.K.Ciurlionis National Museum Picture Gallery, Kaunas, Lithuania. Kaunas Photo 07 decisive exhibition. 2007 Gallery Hippolyte, Helsinki, Finland. The Sign of Fear. Curated by Jari Silomaki. 2007 Museo de Arte Contemporaneo, Madrid, Spain. PhotoEspana 2007 Descubrimientos finalists exhibition. 2007 Gallery Signe Vad, Copenhagen, Denmark. MaleStuff. 2005 National Gallery of Art, Tirana, Albania. Onufri 2005. 2005 Museum center Vapriikki, Backlight2005, the 7. International Photographic Triennial in Tampere, Finland. Untouchable Things. 2004 Victor Barsokevitsch Photographic Centre, Kuopio, Finland. LIFE. Curated by Anna Vilkuna. 2004 Salo Art Museum, Salo, Finland. In blue light. 2002 Photography Center PERI, Turku, Finland. Boys. 2001 Mikkeli Photography Center, Mikkeli, Finland. 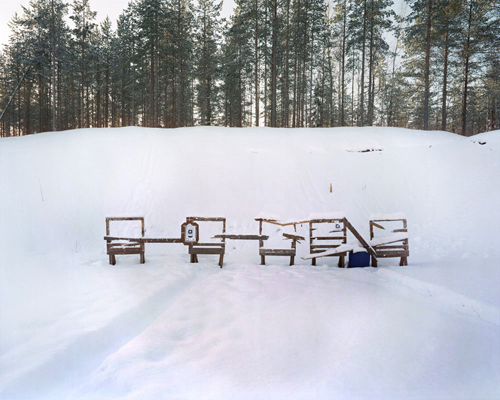 Virne, Humour in Finnish Photography. 1999 Manilla, Turku, Finland. Cafe Ananas. 1999 Les Rencontres Internationales de la Photo, Arles, France. TECE exhibition. 1993 Happy Freedom, Tampere, Finland. 2007- 2009 Belfast Exposed Photography, Belfast, Northern Ireland. 2004 Cultural center Lindart, Tirana, Albania. NIFCA (Nordic Institute for Contemporary Arts) - recidency. 2009 Sotiri 2009, A Touch of Violence, Albania. Exhibition at gallery Guri Madhi in Korca (23.5) and later in 2009 in National Gallery in Tirana. (Un)naturally, by Marja-terttu Kivirinta and Leena-Maija Rossi 2009. Helsinki: Like. The art of humanity, Mantta XIII art festival catalogue 2008. PHotoEspana 2008 catalogue. Madrid: La Fabrica 2008. Battered ? Harri Palviranta. Exhibition catalogue. Arhus: Galleri Image 2008. Backlight05, 7th International Photographic Triennial in Tampere, Finland. Catalogue. 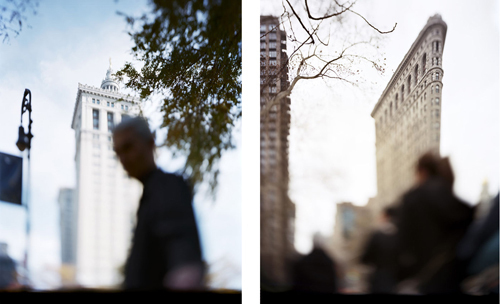 The City of Ghosts shows anonymous people at the street level, photographed out of focus. Those people, walking the streets of a metropolis are juxtaposed with old corporate buildings and prestigious apartment buildings with only slices of upper floors in focus. By combining architectural photography and street photography, City of Ghosts discusses both the permanence of the city and the constant social changes in it. It also looks into the beauty of architecture and the fleeting nature of human life. The high rise, vertical city also creates and symbolises social differences. The higher you are the higher you really are also in the socioeconomic ladder. The world looks quite different seen from street level or from the fortieth floor. Where we live shapes and defines us. Our surroundings, both the people and the physical environment, create a sence of belonging and attachment to the place. The buildings, the physical set of our lives are crusially important for us. They are the frame. City of Ghosts as a photographic project started from a notion of how a tourist, or any newcomer for that matter, in a city as large and impressive as New York would look constantly up in awe of the vertical city. Something that new yorkers almost never do. As a newcomer myself, nearly twenty years ago, I myself experienced those feelings of awe and constant neck pain during my first weeks in the city. I looked and admired the beautiful architecture and sheer scale of everything and tried at the same time to avoid bumping in to people on the streets. Those experiences lead me later on to think deeply of the nature of the city and eventually to this project, City of Ghosts. The vertical strength combined with horizontal solidity makes New York unique. A place of no comparison. New York is also a constantly changing city and my project is partly an attempt to look into that change and to respect the importance of that change. It is also an attempt to show respect and admiration to that built environment and to see some of the risks the change can mean to the city. 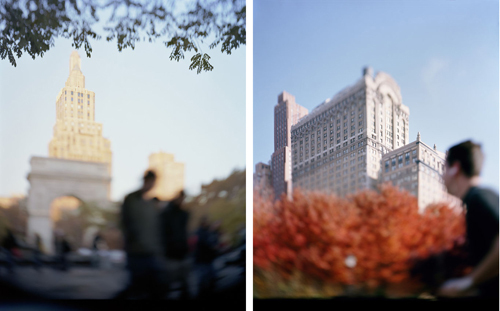 City of Ghosts is photographed on 4 x 5" colour negative film. Images are printed with an inkjet printer from digital files in various sizes between 50 x 60 cm and 105 x 130 cm. They are preferably framed with a glass. At the moment the series consists of sixteen images. I live and work in Helsinki in my native Finland. I am however also a one time resident and a very frequent visitor of New York, where I have been recently working on my project City of Ghosts. I am strongly interested in representations of landscape and the ways we recognize and remember. 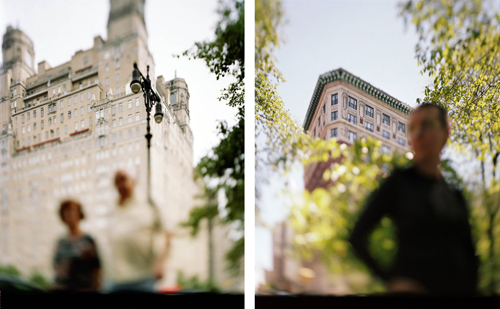 I have previously experimented with out of focus images and how they recreate things we have memories of. Throughout my career I have explored themes of identity: corporeality and place, the sense of belonging somewhere.